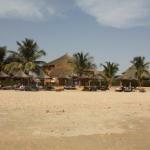 TAP Portugal non-stop flights from Lisbon to Guinea-Bissau from €287! Return flights to Phuket from Budapest, Geneva or Scandinavia from €397! Cheap non-stop flights from Zurich to Singapore from €415! Experienced adventurers looking for a budget option to destinations off beaten track should consider another solution based on Star Alliance member TAP Portugal. Non-stop flights between Lisbon and Guinea-Bissau are now available from €287. If you can travel to this country in West Africa only with your hand luggage this is final price for a round-trip ticket incl. all taxes and fees. This is first time we are posting some deal from Europe to this African destination…You can also depart from Porto for slightly higher fare. (However routed via Lisbon). Also adding some good open-jaw solution for travellers in Scandinavia. Flights on route Lisbon to and return to Helsinki are available from €331. Same travel period as in previous case. Look for flights departing from Lisbon between April and June 2018. At this moment you can obtain a visa on arrival in Guinea-Bissau. (Max stay 90 days). You can book your accommodation in Africa via Booking.com. Consider to use discount code currently released by booking agents Hotels.com or Agoda. Booking sample TAP Portugal non-stop flights from Lisbon to Guinea-Bissau from €287! As per our booking sample you would depart from Portugal to Guinea-Bissau on 27th of April and return from Africa to Europe on 11th of May 2018. Remember this TAP Portugal promotion is not including checked luggage in base fare. (All taxes and fees and in-flight meals are included though..).